Prof. Rajeev Gupta, M.Tech., Ph.D.
Ex-Secy to the Govt. of India, Ministry of Personnel and Ex-Member Competition Commission Tribunal of India. Prof. G.K. Joshi, B.E. , M.E., Ph.D.
Ex-Director, Bhabha Atomic Research Centre and Outstanding Scientist Awardee by the Govt. of India. 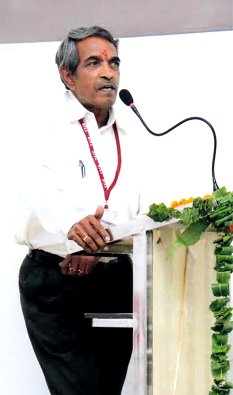 Prof. (Dr.) AR Subramanian, Ph.D., ICWA, L.L.B. Dr. J.S. 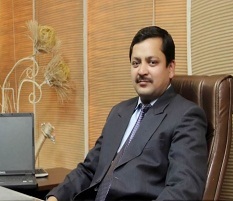 Kadyan, MBA, Ph.D.
Prof. S.K. Mangal, M. Com. 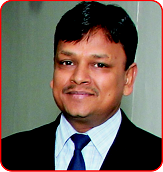 AICWA, Ph.D.
Dr. Ashok Agarwal, MBA, MCA, Ph.D.
Mr. D.K. 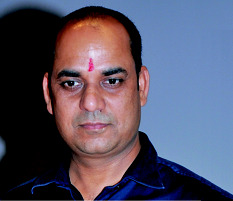 Yadav, B.E., M.E. The Educational Institutions especially those imparting technical education have to take the responsibilities of developing and nurturing the world class engineers, technologists and managers. My position at Northern Institute of Engineering Technical Campus, being highly responsible requires right decisions at the right stage. Financial planning and utilization, future projections require close co-operation of the other members of the management and all of us strive towards the Institution's success. A core professional, after thorough grinding at the grass route level of the corporate world and understanding the nuances of the requirements of the Industry entered into the education world. After having successfully established Kidzee and Mount Litera and winning the hearts of Alwarites, keeping the present needs of the professional education uppermost in my mind started putting various inputs into the Institute after obtaining advise from the doyens of education. My ultimate goal is to provide the best possible education and would not rest till I fulfill my dream. Northern Institute of Engineering Technical Campus has been established by Groupnet Education & Welfare Society and I am privileged to be an active member of the Society with the responsibilities of being a Secretary with Northern Institute of Engineering Technical Campus. My basic philosophy is tiny drops of water must be preciously treated and used. A conglomeration of such tiny drops makes it into an ocean. The rural and semi urban youth of Alwar desire similar treatment for the overall growth of the nation like an ocean. My effort and desire is to achieve this goal. I, through my efforts and my exposure contribute to the Institute to achieve this noble goal. After having put in more than 40 years in the fields of Production, Project Development, Research & Development and Bureaucracy, entered into education. I am glad to be associated with Northern Institute of Engineering Technical Campus in the capacity of Director Academics. 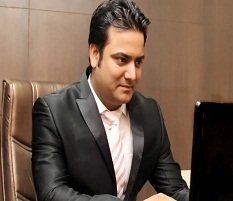 I am pleased with the management which is totally devoted to uncompromising quality. This attribute of management has encouraged me to implement and adopt various innovative methods for the overall development of the student's community. The gap between the students and the teacher is observed to be increasing exponentially in most of the Institutes in our country which is resulting in substandard output. I as a result of the liberty provided to me by the management is constantly working towards reducing the gap between theory and concept as it is strongly felt that the conceptual education is the only way for development of an individual which in turn would result in the economic development of our country. My years of experience is helpful for the overall growth of Northern Institute of Engineering Technical Campus students and my cherished aim is to end my career in Northern Institute of Engineering Technical Campus only. I take this opportunity to welcome the students from the core of my heart and assure their parents that the college will further register tremendous progress on all fronts in the years to come for which we are totally dedicated. I have put in nearly 20 years of service. The entire period has been towards the progress of education in the district of Alwar and I am confident that I understand the requirements of the students more than most in Alwar. I am extremely pleased to be associated with this prestigious Northern Institute of Engineering Technical Campus wherein the management has posed enormous confidence in my competence and capabilities and I would strive to achieve the desired goals of the Institute by providing the best to the students. National Policy on Education has taken a change. Helping and guiding the needy students with financial support is paramount and my years of experience facilitates proper care and support to students in this area. After having put in nearly 20 years in the field of Electrical and Instrumentation Engineering, I am honoured to be associated with Northern Institute of Engineering Technical Campus in the capacity of Head, Academics. Keeping the aim of the Institute uppermost in my mind, I welcome you and ensure the new entrants with the best of education and practices. My warm welcome to the new students. I as Head, I year (Engineering & Technology) studies assure you best of services and desire discipline which is the most important ingredient for development. Students transition from school level to college requires proper nurturing for development and I aim for desired results. I am privileged to be associated with Northern Institute of Engineering Technical Campus as Professor in the Civil Engg. Department. My 35 years of practical experience with the sole aim of espousing the students to the practical world. I welcome the new entrants from my core of heart and assure you of my best services. Served Indian Railways for more than 40 years in Electrical Division. I am totally devoted to acquaint the students of various machinery used in Industry. My best wishes to the young students aspiring a professional position. working with Electrical Machinery makes an Electrical Engineering graduates a complete engineer. I devote my time towards it. I assure you all new entrants that my experience of more than 35 years would be utilized for your overall development. My best wishes to you. Confidence enhances competence and communication skill instil confidence in students and I prepare them towards their attributes.